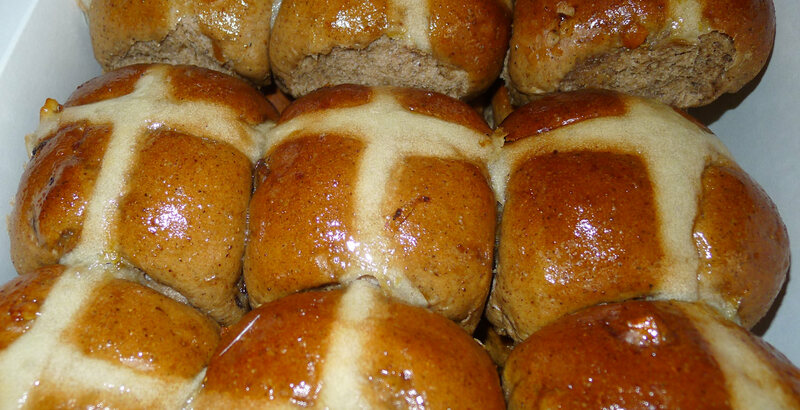 It has only been a fortnight since our visit to La Gerbe D’Or but after sampling their hot cross buns during that visit, I made the decision that this was where I wanted to buy them for this Easter. So this morning we returned and figured we may as well sample more of the amazing food and coffee that is on offer! Service does seem to be erratic at La Gerbe D’Or. Last time we were served at our table but this time, when no-one came to us, we simply ordered from the counter. To be honest this isn’t an issue in the slightest as there was a smile on the face of every person who helped us throughout our visit and I would tread on glass to eat more of their baked goods any day! The coffee was fantastic and even had the non-coffee drinkers (ie me) at the table enjoying their cups. 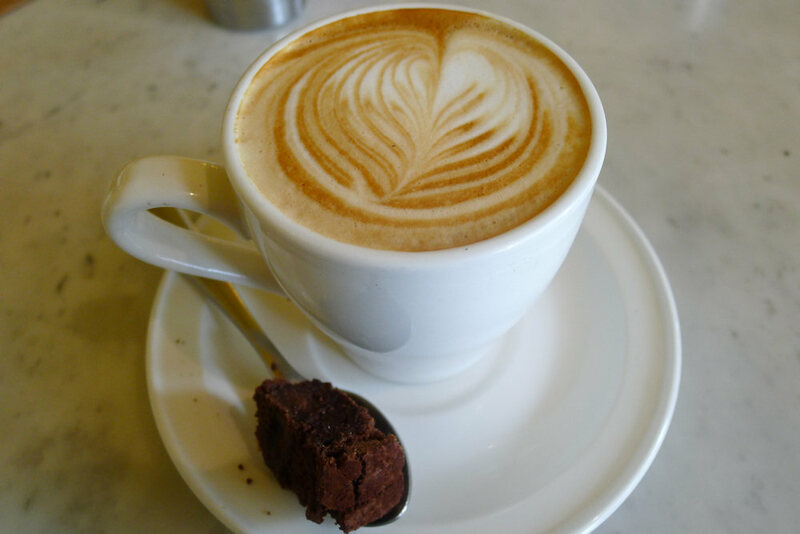 Each of our coffees were served with a small slice of not-too-rich, not-too-sweet cake on the teaspoons which is a great way to get the coffee drinkers to think “hmm maybe I should sample something else as well”! I tried the French toast last time and had spotted the ocean trout on the menu. This time I knew what I wanted before even walking through the door! The house tea smoked ocean trout ($16.50) is a dish that I found very hard to fault. The trout itself has quite a strong smoked flavour and literally melts in your mouth. 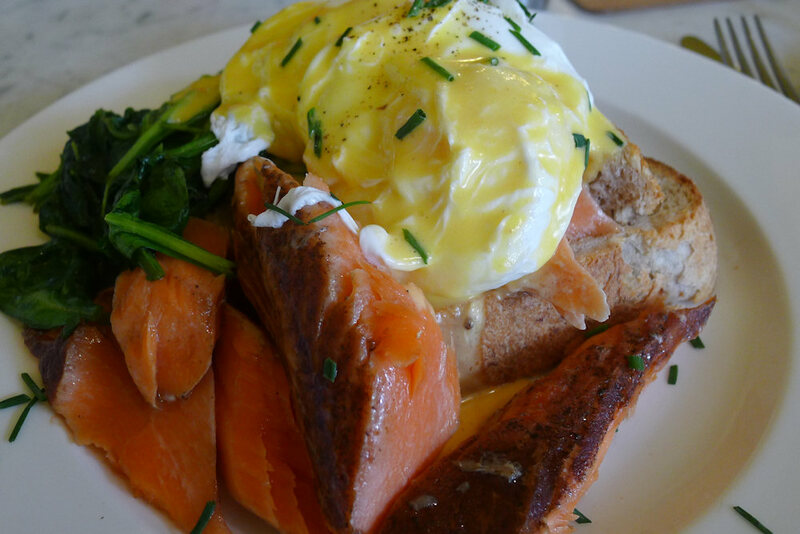 The flavour combination of everything on the plate was fantastic – the spinach, poached egg, fresh toasted bread and trout work brilliantly. The hollandaise tasted good however I would have preferred it slightly thicker. 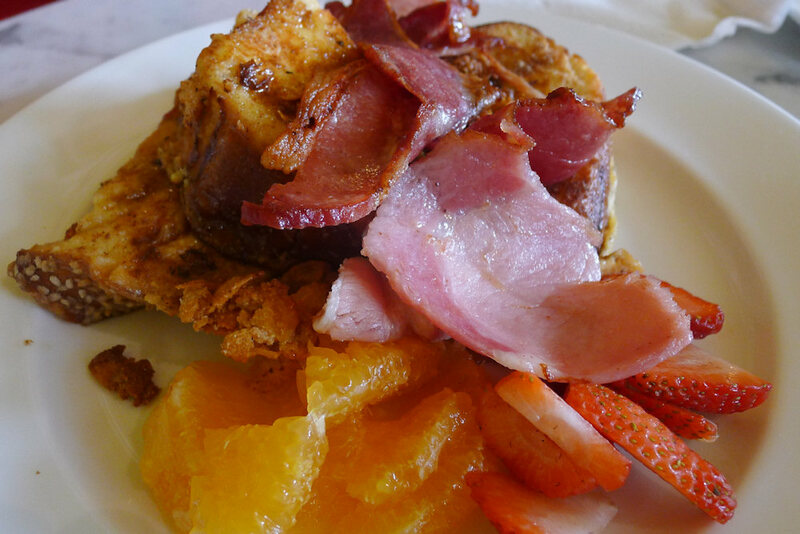 The house challah French toast ($12 or $13.50 with bacon) is served with seasonal fruit and was a smash hit at the table like last time. A decent serving of the soft, spiced toast combined perfectly with the fruit and the sweetness is all offset well by the bacon. The guest who ordered this dish was unable to finish but there was nothing left on the plate by the time the waitstaff took it away! You literally can’t go wrong ordering anything from the pastry counter here. The passionfruit tart tasted as good as it looked. 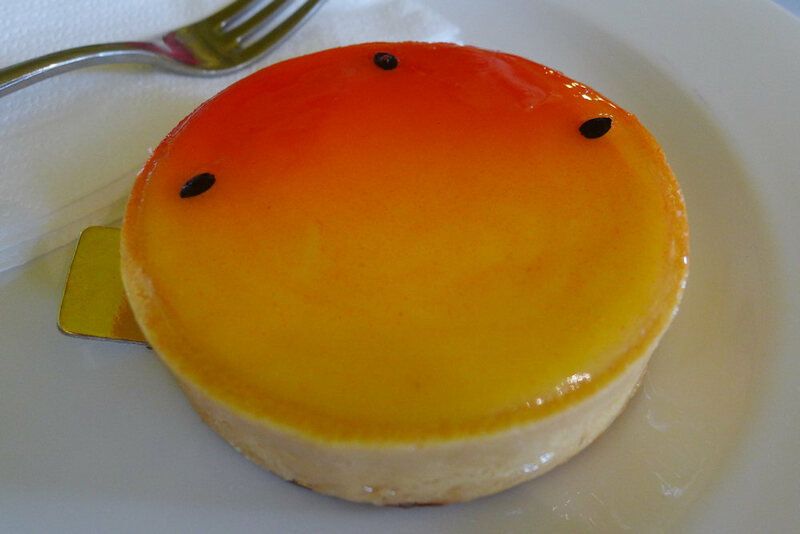 The pastry was firm but melted away in the mouth and the passionfruit flavour, while strong enough, was not overpowering. I am not a lover of sweet foods but despite sample all of the above, I had to go back for more and the pear and almond tart is what I chose. 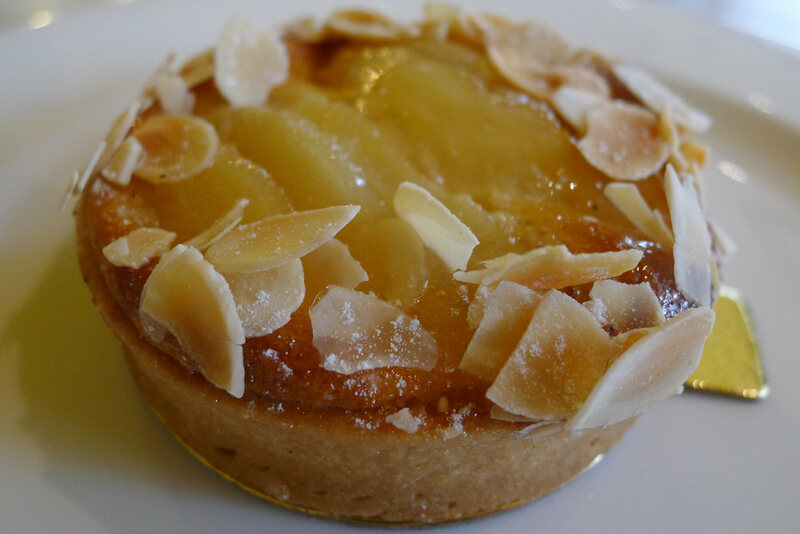 The height of the tart is split between a layer of pastry and the layer of pear. If you enjoy pears this is a must-order and there is also a tangerine version. 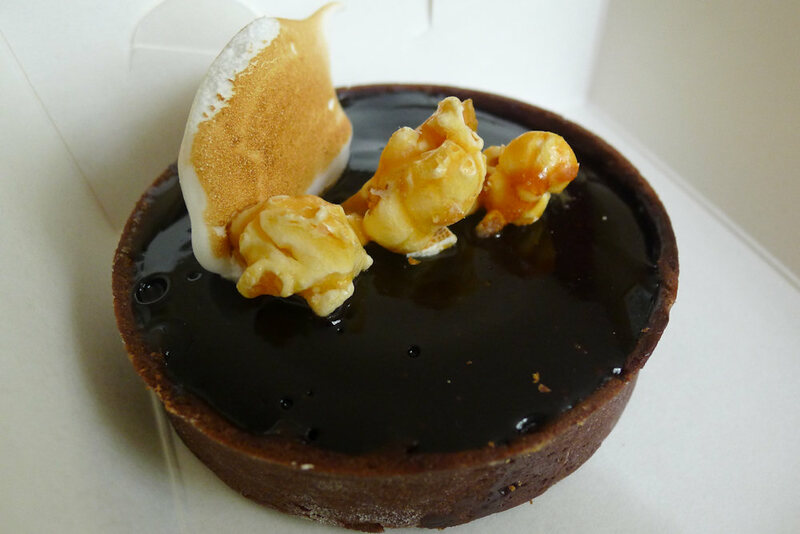 By this stage we were just getting greedy however as you can see from the box in the above photo, we took the chocolate and caramel ganache ($6.50) away to enjoy later. I mean look at it, how could you not want to take something like this home? All of the pastries, tarts and breads at La Gerbe D’Or are made each morning on the premises and the quality is evident in every bite. The interior is quite squashed but there is also seating available outside. I have made this my go-to spot for sweet things and once you try something of theirs, I think it will go close to the top of your list too. This entry was posted in Sydney - Eastern Suburbs and tagged Dog friendly, Gluten free options, Organic Options, Outdoor seating, Parking close by, Reasonable prices. Bookmark the permalink.